A couple of years ago we may have had you running for the hills if we suggested using an oil product on your hair (imagine the grease!). Oh how times have changed! Today, oils and oil-based ranges have become some of the most popular products in hair salons. Unless you have extremely thick hair, using pure olive oil, coconut oil, or any other form of plain oil has become a thing of the past. Here’s why – oil on its own might be too heavy for your hair as it is for most hair types. Using raw oil will only coat the hair, clog your strands, attract dust and weigh your hair down. Not the effect we’re looking for… But in the past technology was much less advanced and raw oils were our only option. Now, with so much advanced technology out there, oils have been formulated with blended ingredients. These are much lighter than before making it more easily absorbed. 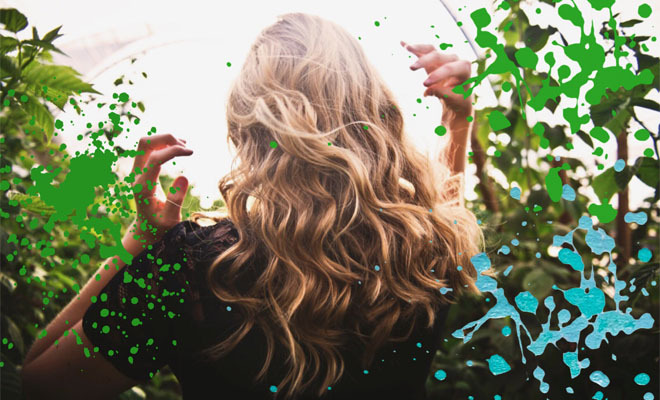 Not only does the modern-day hair oil products have many additional benefits for hair and scalp health, but they usually smell amazing too. Hair oils give instant results; they are perfect for everyday use and are great value for money. All you need is a drop and you’re good to go. They assist in moisturising while having a repairing and restoration effect on the hair with continuous use. Most serums even have heat protective qualities assisting with blow dries, leaving a stunning silky-smooth gloss finish when hair is dry. But most of all, hair oils have restoring abilities. If you’ve overdone it with the hair dye or flat ironing, hair oils will help your hair get back to a healthier version of itself. Another big benefit is that they add shine. Oils replenish the lipid layer on the hair’s surface, creating a reflective surface for light to bounce off of. The result? Ultra shiny strands. – rub a tiny amount of oil between your fingers and smooth over frizzy areas or stray hairs to control flyaways – this will also reduce static. Do you have any tips for using hair oils? Tell us in the comment box below. I need a hair oil that’s very absorbent as my scalp gets oily quickly. I highly recommend Oi oil from Davines – it’s amazing!